In late 2013 and early 2014, Asian Legal Business Magazine and FTI Consulting partnered to interview legal professionals in Asia on the ediscovery transformations underway in the region. 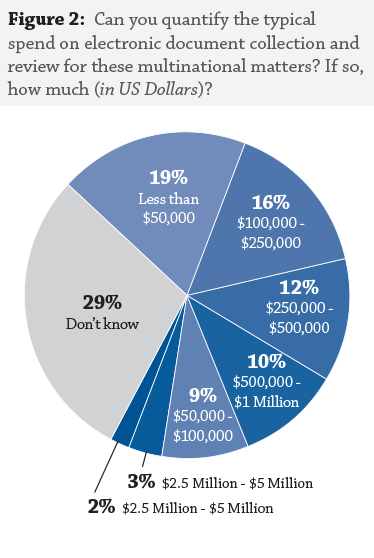 Sixty-five individuals from corporations and law firms completed an extensive online survey, while five e-discovery experts participated in phone interviews. The survey showed a number of strong but changing currents, both originating within Asia and from outside the region. These affect both the conducting of ediscovery and the general management of electronic documents in legal matters. This paper outlines the key survey findings, highlights areas of practical concern for multinational corporations and law firms, and shares expert perspectives on the evolving legal, technical and cultural landscape impacting e-discovery in the Asian region. E-discovery in Asian courts is nascent and hard to characterize in broad strokes. Hong Kong and Singapore are the only two Common Law jurisdictions within the region, and the only two with typical Common Law e-discovery requirements. However, a number of the Civil Law jurisdictions within Asia can require the same level of e-discovery collection and legal review as Common Law jurisdictions. Also, the number of matters crossing multiple jurisdictions across Asia is increasing. 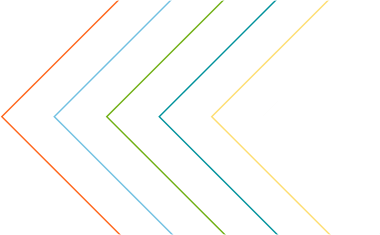 In the global economy disputes are not so neatly limited along national borders, and offshore litigation, particularly US litigation, has impacted companies operating in the region for many years. This is particularly notable for Japan and China, even though those countries themselves lack a domestic discovery process as Civil Law jurisdictions. According to survey respondents, more than 75% of matters originate within the region and for almost a quarter of respondents more than 90% of their matters originate in the Asia region. Respondents have collected data from 15 different Asian countries (plus the United States, Europe, Latin America and Africa). 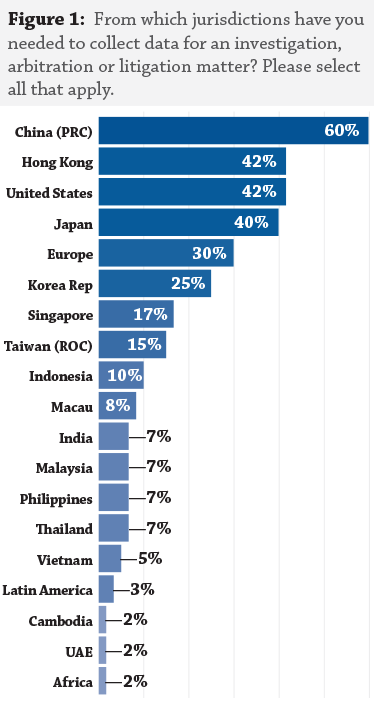 It may be worth noting that this list is not topped by one of the two Common Law countries (Hong Kong and Singapore), but China, with 60% of respondents having collected there. With so few Common Law jurisdictions in Asia, it is perhaps no surprise that so much discovery work is emanating from regulatory investigations. In fact, when asked the openended question “What type of matter are you currently seeing most need for e-discovery?” 67% of those who responded cited regulatory and/or internal investigations. One development that will likely have a giant impact is the trend toward cooperation among regulators from different countries. “There has been increased cooperation between EU and US regulators; the Siemens case is one example—they needed to settle with both regulators,” says Vella. One thing collaboration among regulators is guaranteed to cause is more investigations—and more e-discovery—in more countries. In fact, managing data privacy laws and confidentiality concerns is the single biggest challenge faced by our respondents. When asked to rank challenges in running a review project, the top response was “Technology supporting the necessary review flow to meet data privacy or state secrecy.” And in response to the openended question, “What new Asian regional laws do you think will impact the management of electronic data in legal review?” 79% cited a specific risk of either privacy or data protection. “No matter what the trigger, you have to pay attention to privacy concerns,” says Morrison Foerster’s Hough. The need for data protection and client confidentiality was also cited as the main reason so many respondents would consider using a mobile data processing and document review environment. Almost 85% of respondents said they would utilize such an environment, and a majority cited both data protection concerns and client confidentiality as the top two reasons. Sixty percent of respondents claimed that they have had to collect data from the People’s Republic of China for an investigation, arbitration or litigation matter and almost 40% say that new laws in China will impact the management of electronic data in legal review. One of the most impactful pieces of legislation will be the Law of the People’s Republic of China on Guarding State Secrets, which is broad and vague and requires documents to be reviewed and cleared of secrecy concerns before leaving China. The State Secrets Law is often in direct conflict with the requirements of U.S. regulators and judges. This is especially true for handling shareholder actions originating in the United States, because US courts are likely to demand financial information which cannot leave China. “To comply with both [State Secrets] and the U.S. Federal Rules of Civil Procedure would be very expensive. Most of these cases settle before they get to discovery,” says Brian G. Burke, counsel at Shearman & Sterling based in Hong Kong and Beijing. Beyond the complexity outlined above, the region has seen a recent increase in data protection regimes and concerns about how the Chinese authorities may interpret the country’s state secrecy laws. Singapore issued an e-discovery practice direction in 2009 (and updated it in 2012); Hong Kong has a draft practice direction currently under consultation, which is expected to be issued in June 2014. According to the study results, the increase in regulatory attention is having a strong effect regionally. 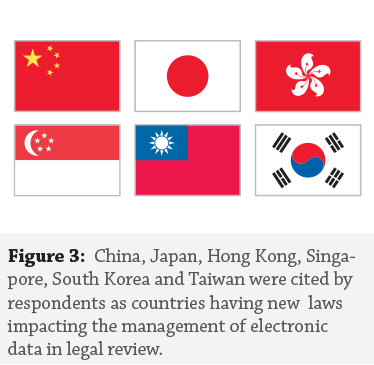 When asked “What new Asian regional laws do you think will impact the management of electronic data in legal review?” instead of just one or two countries dominating the responses, the respondents listed six different countries - China, Japan, Hong Kong, Singapore, South Korea and Taiwan. Perhaps not surprisingly, China leads the way with almost 40% of respondents naming it as an area of concern. In many instances, this means collecting either locally or remotely. When asked “how have you handled the incountry data privacy requirements related to document review” more than 83% of respondents claimed they partnered either with a local counsel; a local IT provider or law department; or a global service provider for local collection. Another growing trend, as discussed above, is use of a mobile data processing and review platform that allows remote collection and review without any data leaving the country. A quarter of respondents have already used this type of technology for document review and almost 17% have done so for collection. No matter the jurisdiction where the ESI work will actually be done, in most instances, it makes sense to have a partner or local resource with in-country experience and knowledge. Whether related to a particular regulatory requirement, a State Secret in China or Common Law issue in Singapore, having access to a strong understanding of cultural and legal issues as well as language is crucial to ensure a thorough and defensible process.